It is often regarded as the FIFA World Cup of Americas. It will witness best soccer teams and best players this month only. 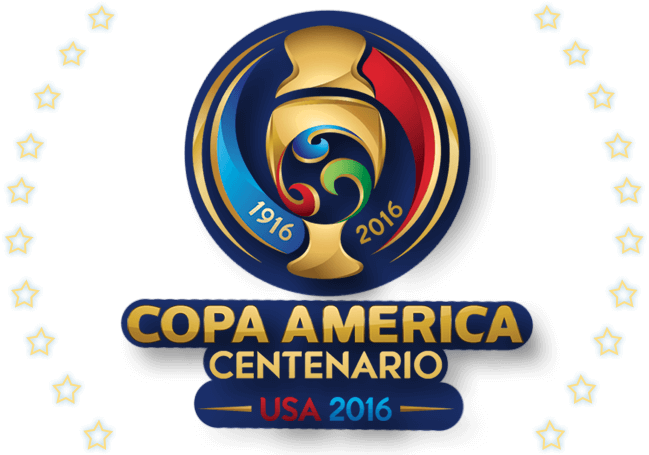 Whichever team win the final match will get to lift the trophy of 2016 Copa America (CA). It draws the eyeballs of each and every football lover. The tournament plays 16 different teams which are further divided into four groups of four teams each. The team USA is nothing as compared to those of Mexico, Argentina, Colombia, and Brazil, but still it has chances to proves its mettle. If the USA succeeds in showing that it’s a large soccer-loving nation, then it will surely get to host big matches in future. The tournament starts Friday, June 3 and will conclude on June 26 with the final game. Below is the complete schedule. Check and share the link. The United States vs. Colombia in Santa Clara, Calif., 9:30 p.m.
Costa Rica vs. Paraguay in Orlando, Fla., 5 p.m.
Haiti vs. Peru in Seattle, 7:30 p.m.
Brazil vs. Ecuador in Pasadena, Calif., 10 p.m.
Jamaica vs. Venezuela in Chicago, 5 p.m.
Mexico vs. Uruguay in Glendale, Ariz., 8 p.m.
Panama vs. Bolivia in Orlando, Fla., 7 p.m.
Argentina vs. Chile in Santa Clara, Calif., 10 p.m.
United States vs. Costa Rica in Chicago, 8 p.m.
Colombia vs. Paraguay in Pasadena, Calif., 10:30 p.m.
Brazil vs. Haiti in Orlando, Fla., 7:30 p.m.
Ecuador vs. Peru in Glendale, Ariz., 10 p.m.
Uruguay vs. Venezuela in Philadelphia, 7:30 p.m.
Mexico vs. Jamaica in Pasadena, Calif., 10 p.m.
Chile vs. Bolivia in Foxboro, Mass., 7 p.m.
Argentina vs. Panama in Chicago, 9:30 p.m.
United States vs. Paraguay in Philadelphia, 7 p.m.
Colombia vs. Costa Rica in Houston, 9 p.m.
Ecuador vs. Haiti in East Rutherford, N.J., 6:30 p.m.
Brazil vs. Peru in Foxboro, Mass., 8:30 p.m.
Mexico vs. Venezuela in Houston, 8 p.m.
Uruguay vs. Jamaica in Santa Clara, Calif., 10 p.m.
Chile vs. Panama in Philadelphia, 8 p.m.
Argentina vs. Bolivia in Seattle, 10 p.m.
Group A winner vs. Group B runner-up in Seattle, 9:30 p.m.
Group B winner vs. Group A runner-up in East Rutherford, N.J., 8 p.m.
Group D winner vs. Group C runner-up in Foxboro, Mass., 7 p.m.
Group C winner vs. Group D runner-up in Santa Clara, Calif., 10 p.m.
June 16 winner vs. June 17 winner in Houston, 9 p.m.
June 18 winners in Chicago, 8 p.m.
June 21 semifinal loser vs. June 22 semifinal loser in Glendale, Ariz., 8 p.m.
June 21 semifinal winner vs. June 22 winner in East Rutherford, N.J., 8 p.m.
Stay tuned to The Reporter Times for latest Copa America news and updates.